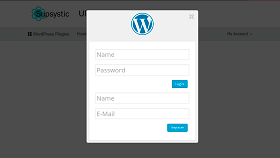 Free WordPress Popup plugin by Supsystic lets you easily create elegant popups with Subscription Forms, Facebook Like, Option and Social locks, Contact Forms, Slider and more. 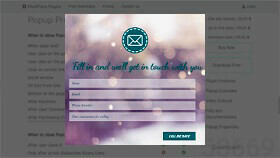 Get More Email Subscribers, Social Followers and Customers. 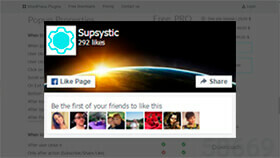 Download plugin Popup for WordPress by Supsystic. Then, to create the first Popup, click “Add New Popup” in the left navigation menu, enter the PopUp's name, choose template and click “OK” button. Your first Popup is ready and you may choose its configuration. More info How to Create a Popup in WordPress for the first time users. One of the typical errors could be non-identical URLs of WP Address and Site Address. Both URLs should be identically with or without “www”. 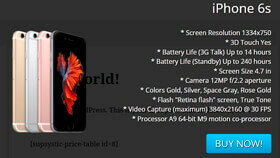 To clarify this, check the configuration of the web-site. 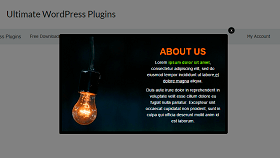 The errors in other WordPress codes could block the work of our WordPress plugin. The problem would be solved with the correction of the errors in other WP codes not connected with Supsystic plugins. Contact our internal support and we will solve the problem in the shortest time possible. You may also change the theme with wrong codes or reach out to the designers of your site to fix the errors in the code. The problem could lie in the WP updates. Check whether your WP plugin is compatible with our plugin, and if it is not please contact us. Theme script stopped working thus interrupting the work of our plugin's scripts. In this case there are two ways out: You reach out to the developers of your theme and they solve the problem or you contact our internal support and we will solve it. Conflicts with styles of your theme or other plugins are possible. Follow our tips on this link to fix the errors. Installing or updating new plugins, make sure you clear the website and browser cache each time. Use only the latest (updated) versions of our plugins. If you see the white screen of death instead of admin area page or you can’t reach the site you can follow our tips in this link or simply contact us. Read our “FAQs and Documentation” if you encounter any problems, it is quite possible you would find a solution there. How to set Popup parameters and triggers like: When to show popup, When to close PopUp, Whom to show, Time display settings and much more. With Popup by Supsystic you can show popups in different ways – when the page is loading, when a user scrolls the page, upon exit from site, or after user comments. 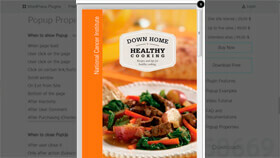 Besides you can show popup by clicking a certain link, icon, image or even show it by clicking a Menu item. Just add the corresponding code and everything is done! Read more..
Now you can use your popup for login or registration. This option will replace Subscribe form with Login / Registration forms. 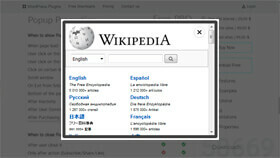 Read more about the feature..
All available languages are provided with the Supsystic Popup plugin. If your language isn’t available, your plugin will be presented in English by default. Available Translations: English, Dutch, French, German, Italian, Polish, Romanian, Russian, Spanish, Spanish (Colombia), Spanish (Mexico), Spanish (Venezuela), Turkish. You can find default .PO and .MO files in folder with plugin: \popup-supsystic\lang\pps_lng.mo and pps_lng.po. 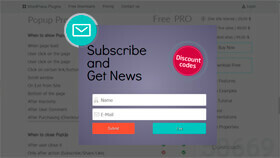 Translate Popup WordPress plugin into your language and get a Premium license for FREE. Contact us.